Zeniya is cozy shop that sells a wide variety of Japanese traditional sweets and snacks that, for some, may summon sweet and nostalgic memories of childhood. Most of the products at Zeniya are free of artificial coloring and food additives so they are great for children of all ages. 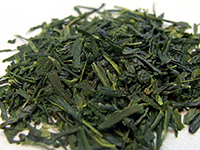 Banchajaya tea shop sells organic and native-to-this-area Japanese green tea ? giving customers a delicious and one of a kind drinking experience. Banchajaya sells a wide variety of green teas for daily use as well as great gifts for friends and family back home. Banchajaya also has a small cafe area where visitors can enjoy a freshly brewed cup of tea, coffee or sweets. With an abundance of locally made foods and drinks, Ajinoyakata is a place for specialty food lovers. Visitors in search of some unique souvenirs or something delicious to enjoy in their daily lives, Ajinoyakata has a wide variety of fresh, dried or preserved foods to discover. 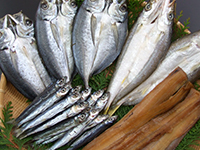 Shishu Hirakiya specializes in producing delicious dried and salted seafood. Shishu Hirakiya’s products are made from fresh and seasonal seafood that has never been frozen, which makes all the difference in producing a richer and more delectable taste. Shishu Hirakiya carefully selects the best seafood and takes special care in their open-air drying process ensuring their traditional methods bring out the best flavor in all their products. Mie Gyoren sells freshly harvested and locally grown seaweeds such as nori (laver), wakame (soft seaweed) and aosa (sea lettuce). 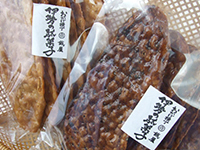 Mie Gyoren processes their seaweeds by various methods so that they can easily be used in everyday cooking. 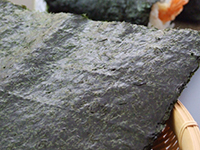 Seaweed is generally recognized as a health food which is perhaps why Ise Shima people are so full of energy and life since it is a part of their daily meals! 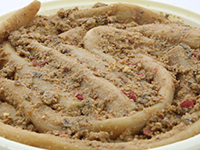 Denbei’s flagship food is Ise Takuan, half-dried asian radishes (daikon) that have been preserved in a mixture of rice bran and salt. Because they are preserved, Ise Takuan have been a deliciously convenient staple food to feed the large number of pilgrims who have visited Ise for hundreds of years. The founder of Denbei was a local farmer who began pickling and selling his vegetables to locals and visitors alike over 160 years ago. Denbei continues its tradition of pickling local and seasonal vegetables to help feed modern-day pilgrims visiting Ise. 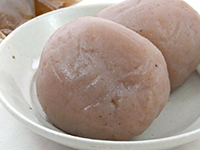 Konnyaku is a healthy food made from the konjac plant that has been eaten in Japan for generations. 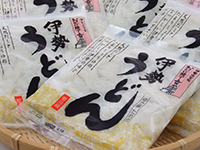 These days konnyaku is often sold in powder form and for many people, doesn’t produce the authentic flavor or gelatinous texture of fresh konnyaku. Misugigo Yachidamaya produces konnyaku made from fresh konjac plants grown in Misugi, a small town in northern Mie Prefecture that is surrounded by pristine air and water. Misugigo Yachidamaya uses their time- tested methods to produce delicious konnyaku and makes each product by hand. Wakamatsuya started making kamaboko in 1905 in the Kawasaki district in Ise City that was once known as “Ise’s kitchen.” Kamaboko is a traditional Japanese food made by forming and cooking pureed white fish into different shapes, sizes and tastes. Relying on four generations of expertise, Wakamatsuya continues to use their time-honored methods of making their hand-made, all-natural kamaboko. 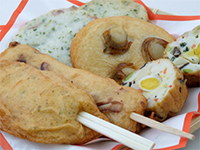 At their Okage Yokocho shop, several kinds of fresh, deep fried kamaboko are served and ready to eat. Mishoukan is a unique food shop where visitors can find a wide assortment of select food products made all across Japan. From jams, juices, jellies, olives, drinks to seafood and more, Mishoukan prides itself on offering one-of-a-kind foodstuffs that are as special as they are delicious made by manufacturers who share a passion for the products they create. The Iseman Naiku Mae Japanese Sake Factory produces its flavorful sake in their small brewery located just in back of their storefront so it is always fresh and tasty. 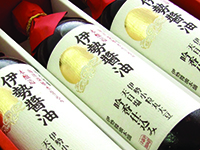 Iseman’s flagship sake is called Okagesama, conveying the brewer’s appreciation and thankfulness for the bountiful nature and the gods in Ise. 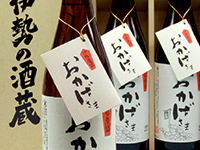 Ise Shoyu Honpo’s delicious soy sauce is made from soybeans and wheat grown right here in Mie Prefecture. After just one taste of this delicately crafted soy sauce, people can taste the sweetness, aroma and quality of this Japanese staple food. Visitors to Ise Shoyu Honpo’s shop can purchase soy sauce and soy sauce-based seasonings as well as try some fried udon noodles or soy sauce flavored ice cream. 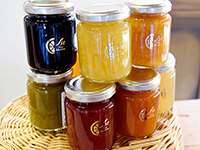 Ise Fruit Laboratory is a store specializing in jam which made with selected fruits.